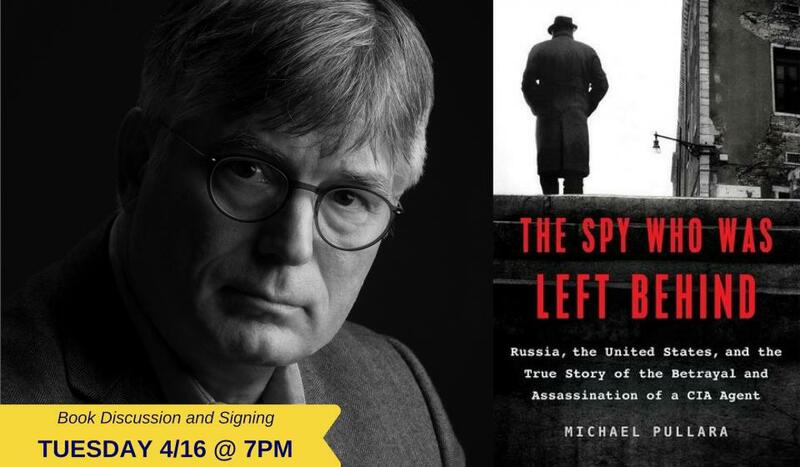 THE SPY WHO WAS LEFT BEHIND is a true story of international intrigue involving the 1993 murder of CIA officer Freddie Woodruff by KGB agents and an extensive cover-up that followed in Washington and in Moscow. In August 1993, a bullet to the head killed Freddie Woodruff, the CIA station chief in the former Soviet Republic of Georgia. Within hours, police had a suspect (a vodka-soaked village bumpkin) and a tidy explanation: a tragic accident. US diplomats hailed Georgia’s swift work. Both countries breathed a sigh of relief. Yet the bullet that killed Woodruff was never found, and key witnesses have since retracted their testimony. Those who don’t buy the official explanation think the answer lies in spy games that played out on Russia’s frontier following the collapse of the Soviet Union. Woodruff was an early actor in a dangerous drama. American spies were moving into newborn nations previously dominated by Soviet intelligence. Russia’s security apparatus was in turmoil, with its nominal loyalty to a pro-Western course set by President Boris Yeltsin shredded by hardliners who viewed the Americans as a menace. When Woodruff was stationed there, Georgia was a den of intrigue, with a big Russian military base and awash with former and not-so-former Soviet agents. Shortly before Woodruff was shot, veteran CIA officer Aldrich Ames—soon to be unmasked as a KGB mole—visited him on agency business. In short order, Woodruff was dead and Ames was in prison for life. Buckle up, because THE SPY WHO WAS LEFT BEHIND reveals the full-throttle, little-known thrilling tale.